The Upton Cabinet by Zuo provides chic elegant style and ample storage space. This sophisticated piece features three drawers within a mirrored cabinet structure. 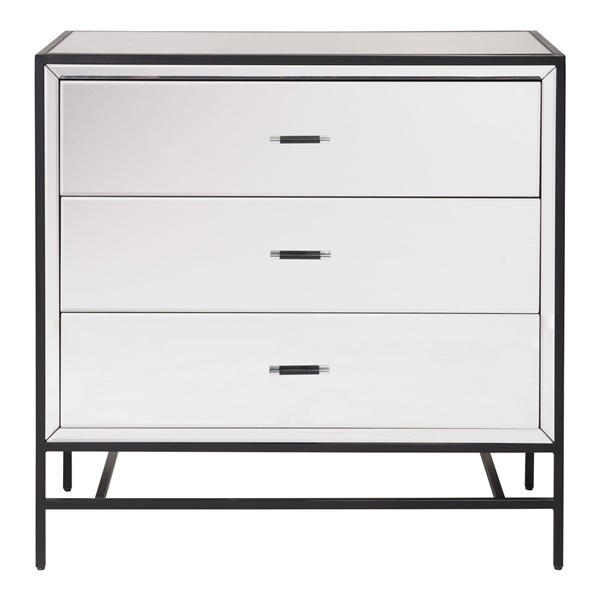 Its sleek frame is expertly crafted of sturdy metal and creates a unique and functional modern cabinet.